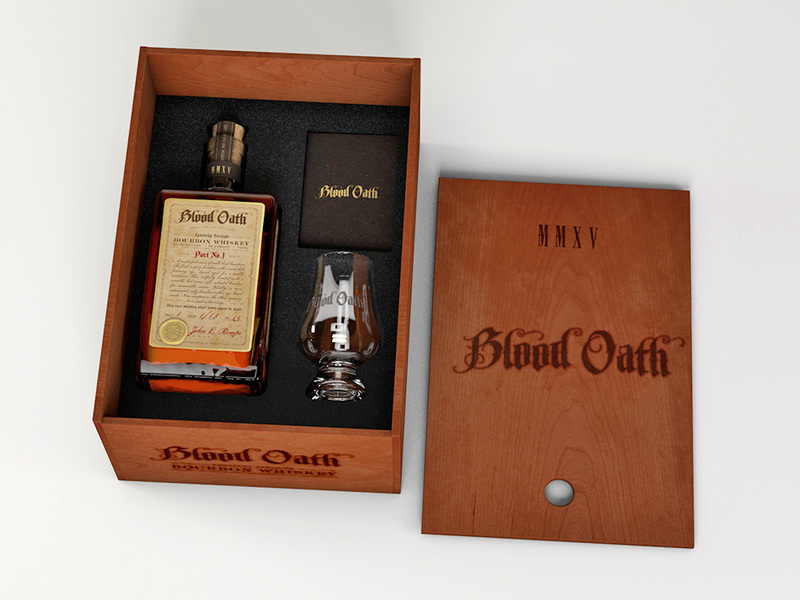 I sometimes enjoy sharing this sort of behind-the-scenes imagery as it can help give a view into the process of creating something multi-dimensional like the Blood Oath Kentucky Straight Bourbon PR kit. • View photos of the completed kit here. 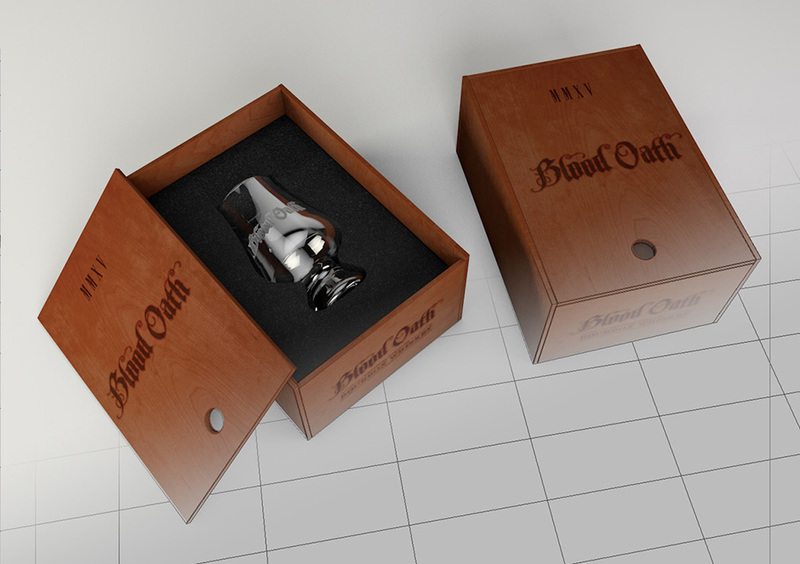 • View photos of the bottle packaging here. 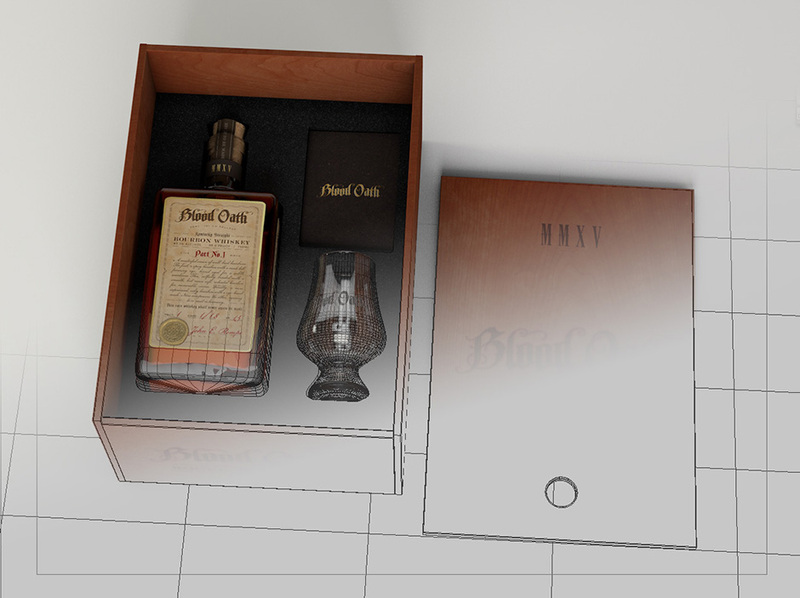 I wanted to create a classic, traditional press kit for this very grown-up (and expensive) bourbon. In this case a tee-shirt just wouldn’t cut it. 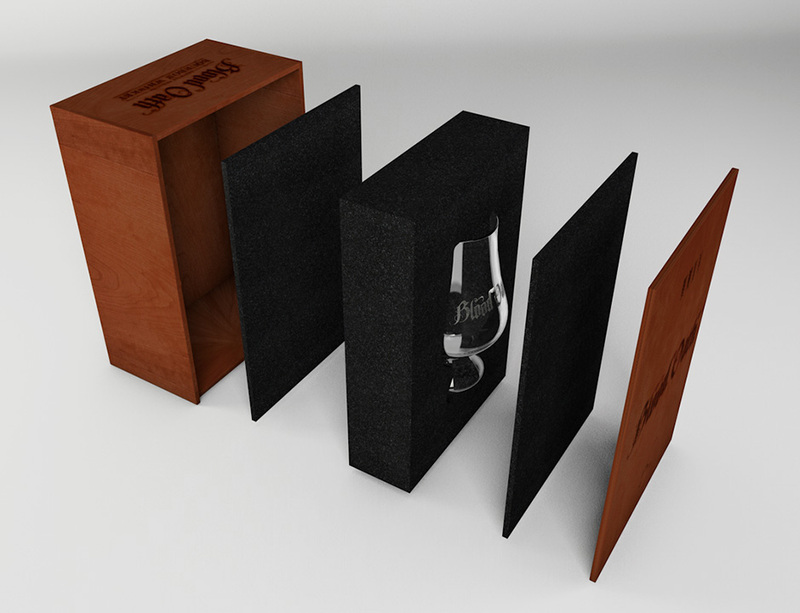 So it was decided to present a bottle, etched tasting glass and small informational booklet, all together in a custom-built cherry wood display box. 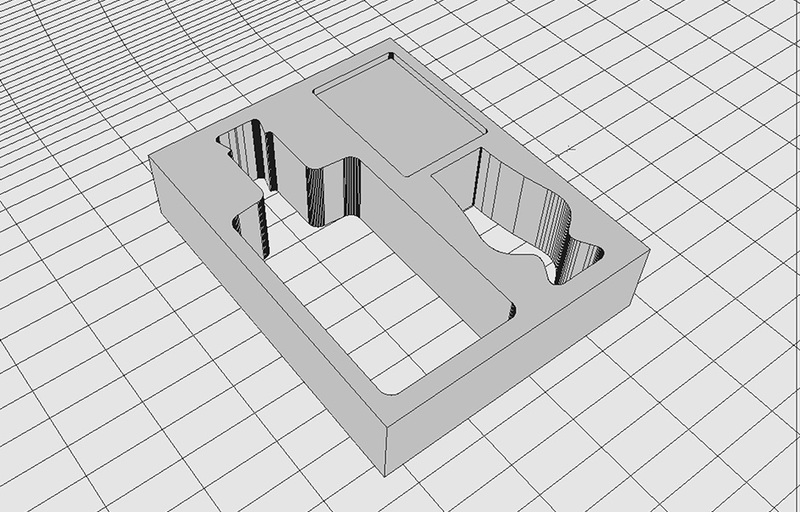 This would be an expensive kit to produce and would need to be thoroughly examined before it could be approved. 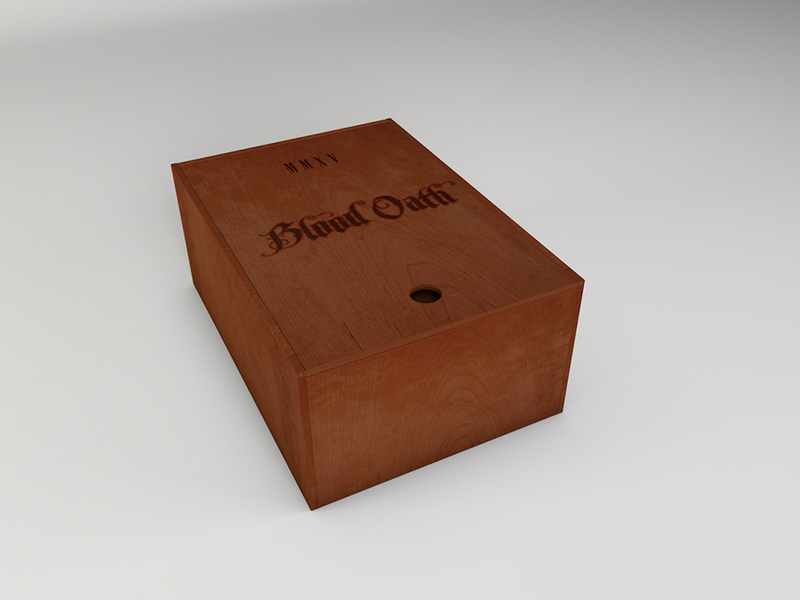 To accomplish both the proofing and to provide fabrication/assembly instructions for the box builder, 3D models were created.